Summer break is quickly approaching and while it’s great to kick back and relax with the kids, it’s also important to offer some structure so they don’t forget everything they just learned! We’ve found lots of great ways to do this, from implementing a summer schedule and using “sneaky learning” games, to studying a fun unit on the planets. But for today’s post, I want to focus on how to encourage your child to spend time reading this summer! Over the summer I often have four kids around the lunch table, and it can be really hard to get them to talk about anything other than poop. (just keeping it real here folks) One method I have used to change the topic of conversation is to read a chapter book aloud. Last summer I read the kids Pippi Longstocking, and they thought it was hysterical! The summer before that I read Charlie and the Chocolate Factory, which they loved as well. With both of these chapter books I told the kids up front that there would be some kind of fun activity we would do together when we had finished the book. We enjoyed the movie of Charlie and the Chocolate Factory after finishing that book, and last summer we took a trip to the American Swedish Historical Museum to learn more about Pippi and her author. Knowing that there was an activity related to our reading really kept the kids interested and eager for more! What’s your child interested in? I think it’s a great idea to check out a variety of books all on a topic that interests your child and then encourage them to put some information together about what they read. Last summer we read a bunch of books about the planets and the kids made planet power point presentations. Many of you will be amazed what kind of computer skills your elementary schooler has, and my kids did really well with the reading/research/writing connection. 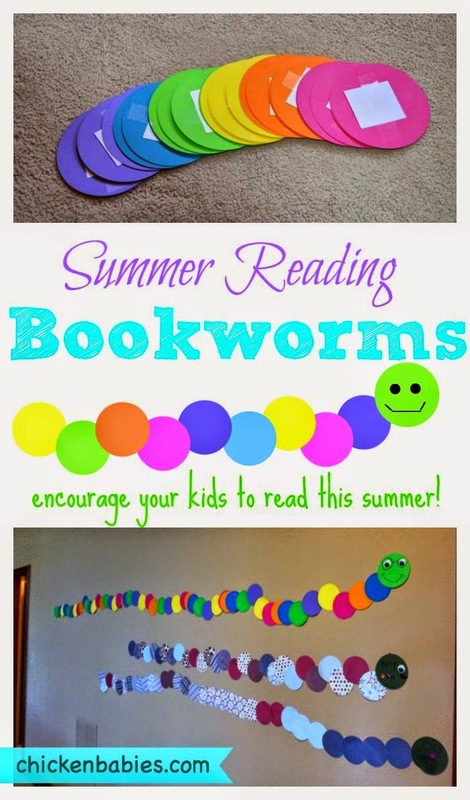 A few years ago we did a summer bookworm that my kids really got into. I can’t seem to find a photo of it, but basically I cut out a bunch of circles of construction paper and on the back I wrote little “prizes” that I thought the kids would enjoy. For example, buying something at the Dollar Store, getting to pick a board game to play together, 15 minutes of screen time, water ice from Ritas, 15 minute later bedtime, and other things like that. I tried to have a good mix of “experience” rewards and “stuff” rewards. My older son had to read one chapter book to earn a circle, and my younger son had to read for 15 minutes for 3 days. We put up “book worm” circles up on the wall so they could see it grow. Everyone really had fun with this, and you could choose whatever kind of incentive will work best to motivate your child. If you are looking for other suggestions, my friend Mark shares some thoughts on reading incentives in this blog post. We haven’t done one of these, but I see them floating around pinterest every summer. 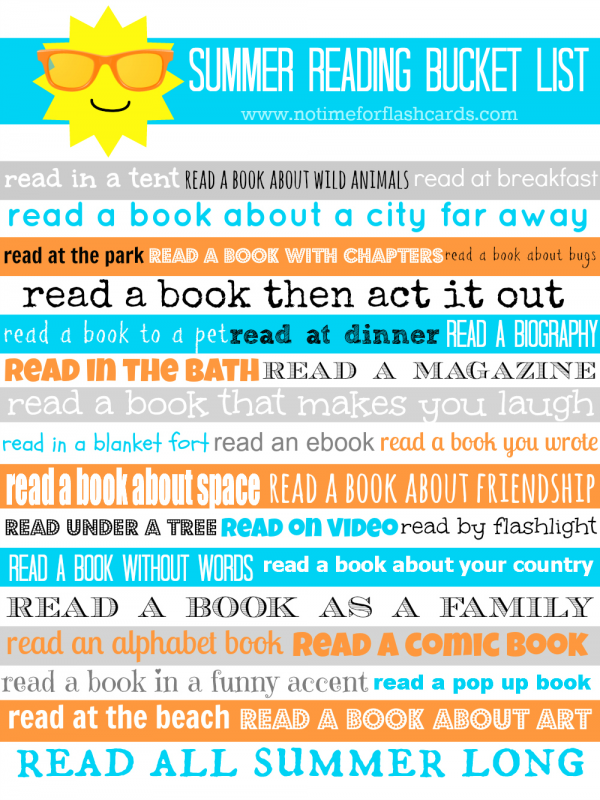 The Measured Mom has a free printable with 100 places to read this summer. My boys love screens. There’s not two ways about it. We just discovered that our library has kindles that come preloaded with books at different reading levels. 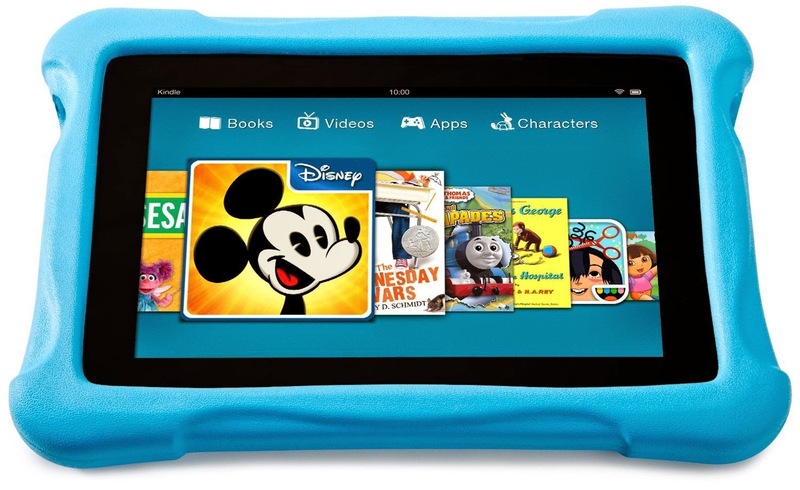 I checked out one of these devices a few weeks back and I kid you not – the boys sat on the couch for over an hour passing the kindle back and forth as they read books to each other. I’m pretty sure they would not have done the same thing if I had put a stack of books on the coffee table, and that annoys me a little…. but not so much that I won’t check out the kindle again! If you’d like even more tips on encouraging your child to read, check out Tiffany’s review of a book called Book Smart: How to Develop and Support, Successful, Motivated Readers. We’ve reviewed tons of great kid books as well as put together helpful lists by topic. Use our search bar to look for posts about “books” (or click here) and “reading” (click here). Very good ideas. I really like the bookworm – might have to try that this summer!